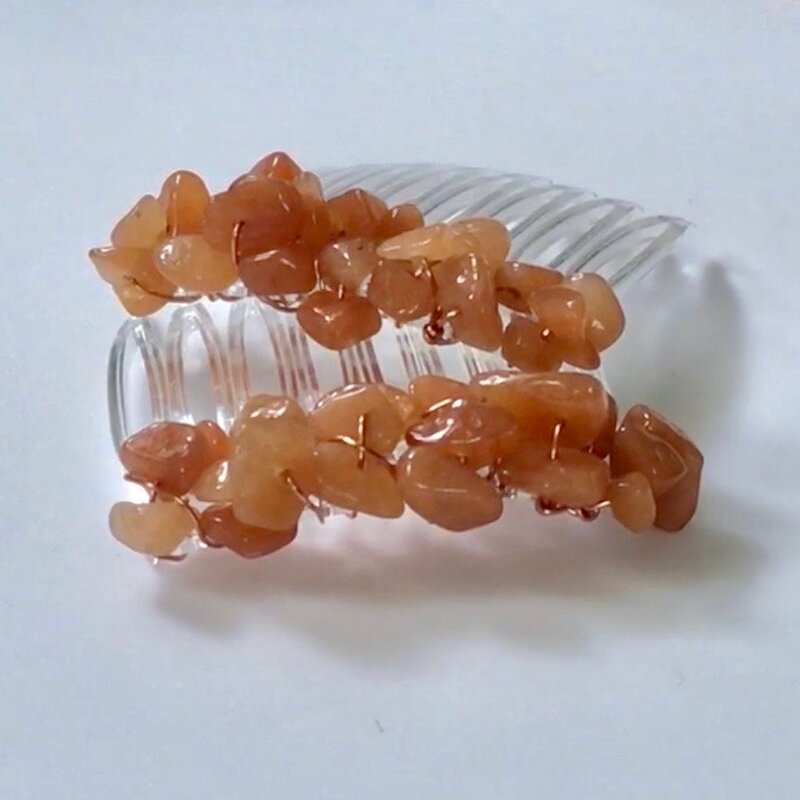 Red Aventurine:Represents Creativity, Prosperity, and Practical Enthusiasm. 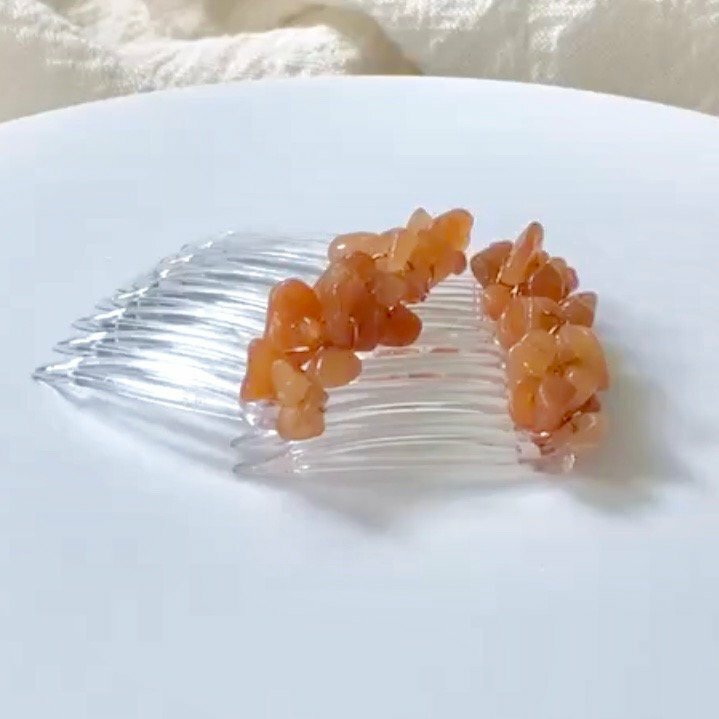 Aventurine represents Creativity, Prosperity, and Practical Enthusiasm. 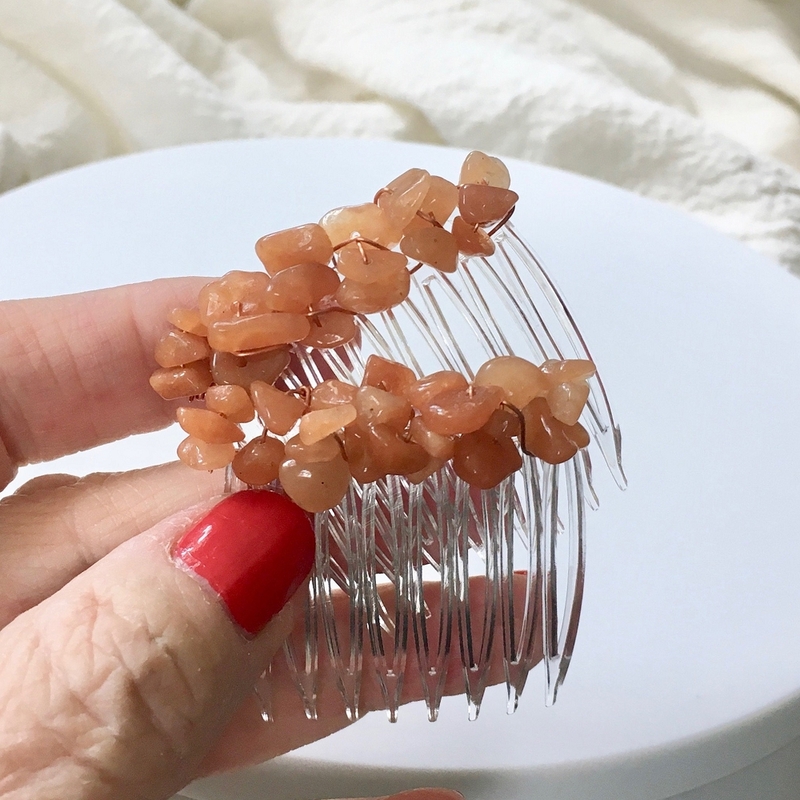 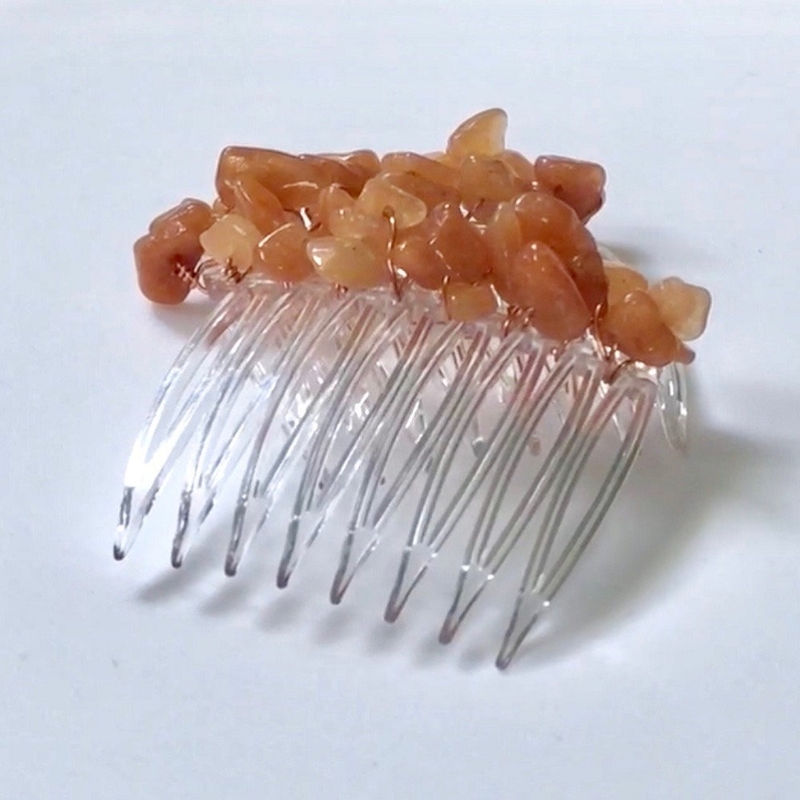 Beautiful 70mm (2 3/4 inch) hair comb featuring free-form wrapping of Red Aventurine tumbled nugget beads with coordinating copper wire on a GripTuth® hair comb. 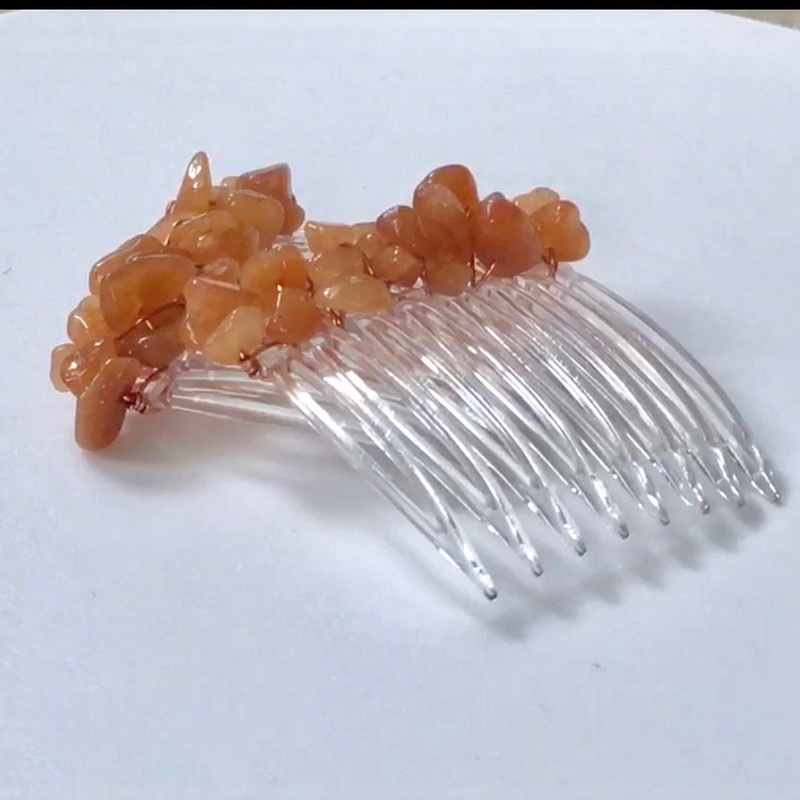 This listing is for a PAIR of combs (2 combs) in the 40mm (1 5/8 inch) "mini" size. 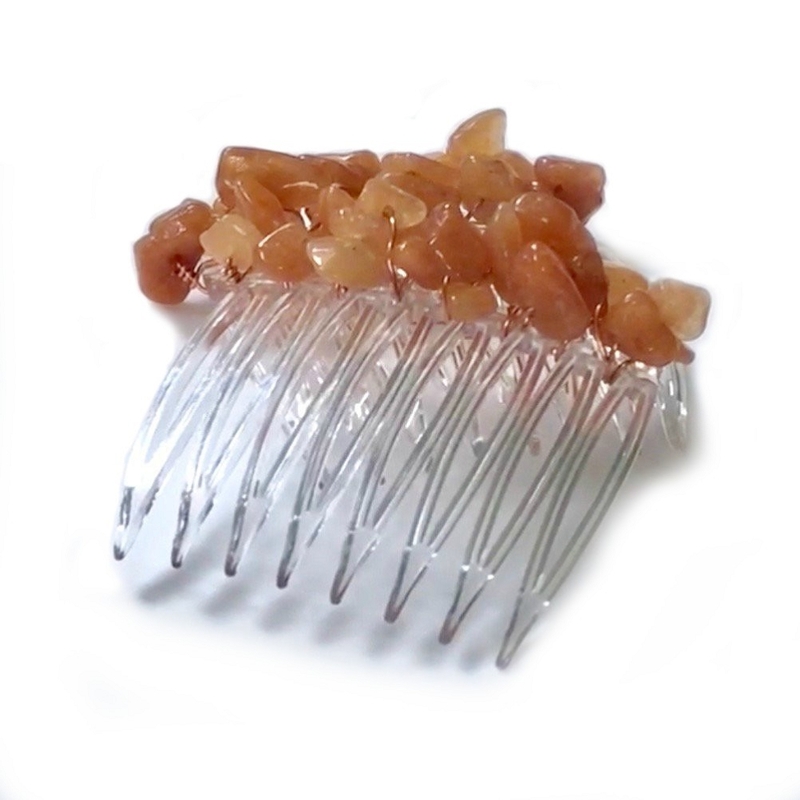 ...beautiful hair combs, featuring free-form wrapping of semiprecious gemstone and glass beads on the Grip-Tuth® plastic hair comb.